Specialty medications have piqued the attention of employers because spending on specialty medications has been increasing. In 2012, specialty medications accounted for 24 percent of total drug spending in the commercial market, but by 2016 specialty medications accounted for 36 percent. By 2020, specialty medications are expected to account for nearly one-half of total drug spending in the commercial market. Employers consider managing specialty medications one of the most effective tactics when it comes to controlling health care costs. Join EBRI on Sept. 18 as it presents its latest research on the relationship between health plan type, use of specialty medications, and worker productivity. 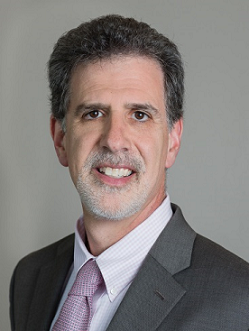 Dr. Fronstin's research interests include trends in employment-based health benefits, private health insurance exchanges, workplace wellness programs, consumer-driven health benefits, retiree health benefits, employee benefits and taxation, and public opinion about health benefits and health care. He currently serves on the board of trustees for Emeriti Retirement Health Solutions and for the Maryland Patient Safety Center. 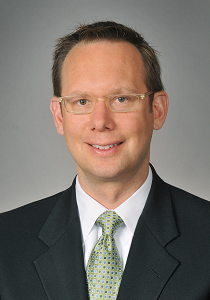 He also serves on the National Advisory Board for the University of Michigan Center for Value-Based Insurance Design. He is the associate editor of Benefits Quarterly and is also a TIAA-CREF Institute Fellow. From 2012-2016, Dr. Fronstin served on the Maryland Health Care Commission. In 2010, he served on the Institute of Medicine (IOM) Committee on Determination of Essential Health Benefits. David Guilmette is President, Global Employer and Private Exchanges for Cigna Corporation. He is responsible for leading the growth strategy and overall marketplace execution of National Accounts business and has overall leadership of the Cigna Private Exchange business. 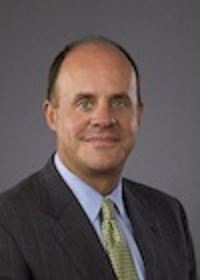 Additionally, he serves on the Cigna Ventures LLC Board of Managers and Chairs Cigna’s Innovation Advisory Board. Prior to this role, he had been President, National, Pharmacy and Product. He joined Cigna in February 2010 as President of Cigna’s National Segment. Previously, Guilmette was the Managing Director of the Towers Perrin (Towers Watson) global Health & Welfare line of business, responsible for leading the growth and profitability of the Health & Welfare business, and identifying trends in the marketplace relating to health care. Guilmette has more than 35 years of experience with health care and employee benefit programs, focusing on all aspects of program design, financing, implementation, administration, consumerism (including Consumer Directed Health plan designs) and managed health care delivery. Guilmette is a graduate of the University of Chicago, where he received his undergraduate degree in Political Science. Thom Stambaugh is Vice President of CIGNA Specialty Pharmacy Services and leads the design and execution of the Specialty Pharmacy strategy to create solutions to improve the health, affordability and human performance for the 3% of Cigna customers on specialty pharmaceuticals generating 26% of total medical costs. Thom is responsible for Cigna's specialty pharmacies that serve over 100,000 customers using over $2B in specialty pharmaceuticals. He is the executive sponsor for several of CIGNA Pharmacy Management’s largest clients and represents CIGNA in a variety of client and industry activities. Prior to joining CIGNA, Mr. Stambaugh was Director of Clinical Programs at Healthsource, where he designed and developed drug utilization programs for asthma, gastrointestinal and narcotic medication management. As Manager of Clinical Pharmacy Consulting, while at Value Rx, he was responsible for implementing formulary and disease management programs for employer groups and health plans. Mr. Stambaugh has published and been quoted in several industry publications related to evidence based benefits, specialty pharmacy, outcome based pharmaceutical manufacturer contracting and in support of the company’s launch of Return on Health®. Return on Health (ROH) elevates the concept of ROI – helping customers realize improved outcomes and lower costs through the synergy of clinical programs, plan design, financial management and service across pharmacy, medical and behavioral plan components. Mr. Stambaugh is a graduate of Ohio Northern University (Bachelor of Pharmacy) and the Owen Graduate School of Management at Vanderbilt University (Masters in Business Administration with a concentration in Healthcare Management). He has also completed executive leadership programs through University of Southern California and University of Virginia’s Darden School. Bob is responsible for managing the Corporate Benefits, Health Services, Wellness and Payroll functions for Mutual of Omaha Insurance Company. The Corporate Benefits function oversees benefits administration for 5,700 employees and 2,500 retirees. Prior to working at Mutual of Omaha Insurance Company, Bob was the Human Resources Manager for the Omaha Branch of the Federal Reserve Bank of Kansas City and the Benefits Manager for Bryan Memorial Hospital in Lincoln, Nebraska. 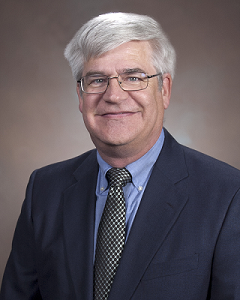 Bob earned a Master’s degree in Business from Creighton University and a Master’s degree in Banking from the University of Wisconsin at Madison. He is a Certified Employee Benefits Specialist, a Senior Professional in Human Resources and a Certified Compensation Professional.